Travelocity has been around for a while and is still the go-to website for anything travel related after all these years. With all the options available, however, it is easy to lose focus when trying to choose an all-inclusive vacation in a tropical climate. Here are some of the best all-inclusive deals available from Travelocity in Mexico and the Caribbean. Use a Travelocity coupon to help drive down the price of your reservation even more. Casa Velas Luxury Boutique for Adults Only - You don't have to worry about screaming kids at the kiddie pool or kids crying over their dinner at the next table when you stay at Casa Velas in Puerto Vallarta. Guests give this resort an exceptional rating of 4.8 for its relaxing ambiance, access to three restaurants with top-notch service and romantic sunsets. It is also secluded enough for peace and quiet but only 15 minutes from downtown when you want a taste of city life. A master suite averages $571/night through Travelocity. Grand Velas Riviera Maya - This Cancun resort is absolutely stunning and offers eight on-site restaurants. There is also a full-service spa, childcare for an additional fee and a complimentary beach shuttle. Guests rate this hotel an average of 4.8 due to its exceptional service and its kids club. Rooms average $926/night at Travelocity online. Iberostar Grand Hotel Paraiso - This hotel is for adults only in Playa de Paraiso on the Caribbean Sea coast. 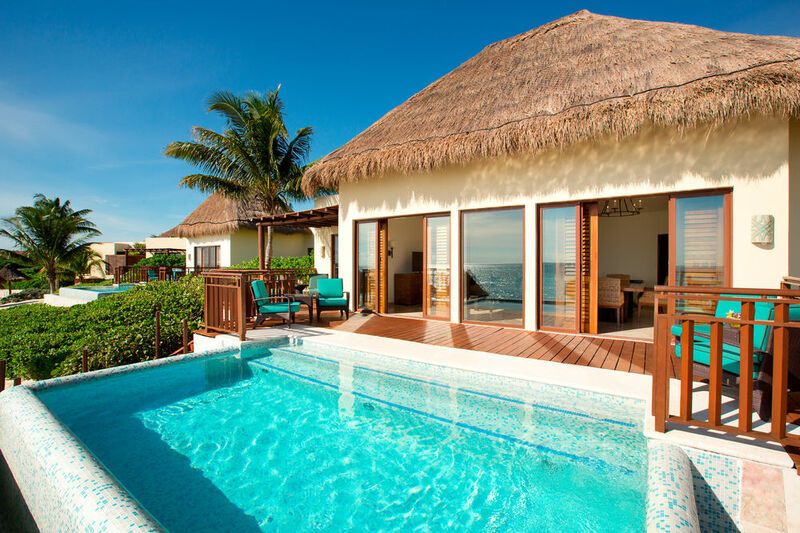 The resort offers a saltwater swimming pool with a swim-up bar, as well as two other pools. Non-motorized water sports are included, as well as a fitness center. An onsite club and evening entertainment make this a place you'll never want to leave. This resort averages $508/night when you book through Travelocity. 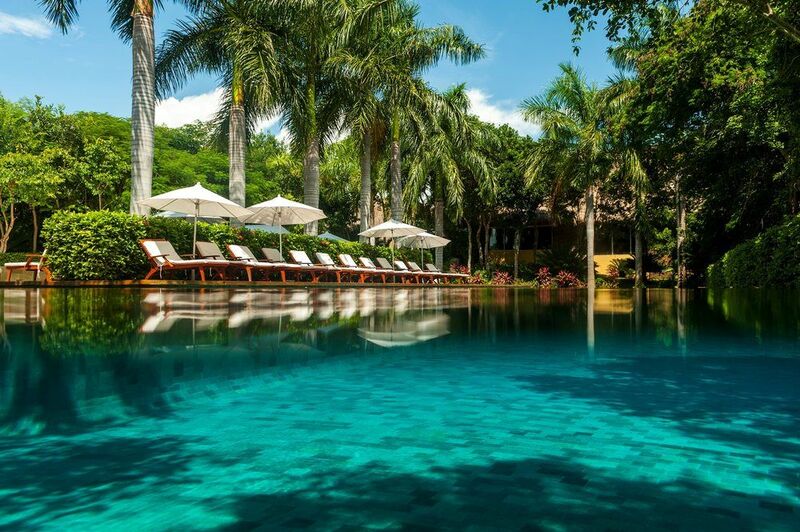 Fairmont Mayakoba Riviera Maya - For a hotel with an average 4.8 guest rating, the Fairmont is a great value at $406/night. It features five outdoor swimming pools, a golf course, full-service spa, and four restaurants. The resort is surrounded by nature and easily accessible by tram, bike or foot. It is also family friendly and has its own children's pool. Hyatt Ziva Cancun - The Hyatt Ziva sits at the tip of the hotel zone where all the action is, yet surrounded by water views. Its eight restaurants give you plenty of options to choose from when dining. There is also an on-site spa and three outdoor pools. A complimentary kids' club makes it great for families. Nightly rates average $689 on Travelocity.com for this exceptional hotel. East Winds Saint Lucia - Guests rate this resort 5/5, for its intimacy (there are only 30 rooms), superb service and amenities. The staff treats you as an individual person, not a number, and even makes the effort to remember your name. 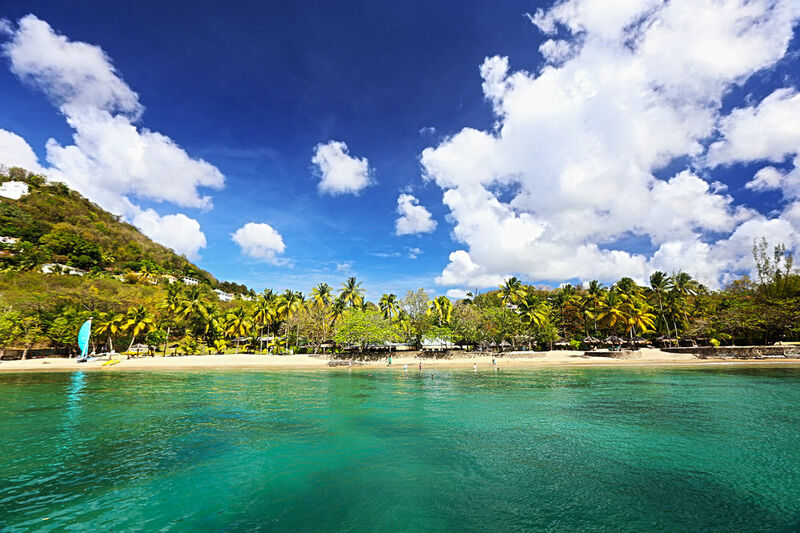 For a tropical paradise with great food and service, the average nightly rate at East Winds in Saint Lucia is $685/night. Catalonia Royal La Romana - This Dominican Republic Hotel is for adults only and sits right on Playa Dominicus. It shares services (additional dining and swimming options) with the Catalonia Gran Dominicus, which provides guests with even more options for food and recreation. Nonetheless, guests can still choose to eat at one of the resort's five restaurants or 24-hour room service. It is a smaller resort, which allows guests to receive more personalized service than they would at larger resorts. Average rates are $246 per night through Travelocity. Booking with Travelocity not only makes it easy to find the right vacation for you and your family, but also provides peace of mind. Before, during and after your trip, you can access 24/7 assistance if you need help with your vacation. Best of all, if you notice that your price has dropped after booking your hotel stay, you can get a price match guarantee all the way up until the day before your booked stay.